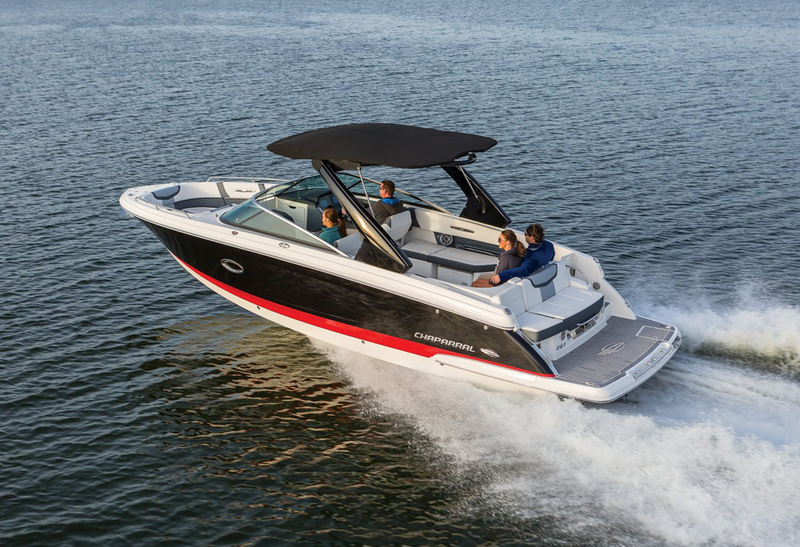 Overachievement abounds in Chaparral’s new 287 SSX. 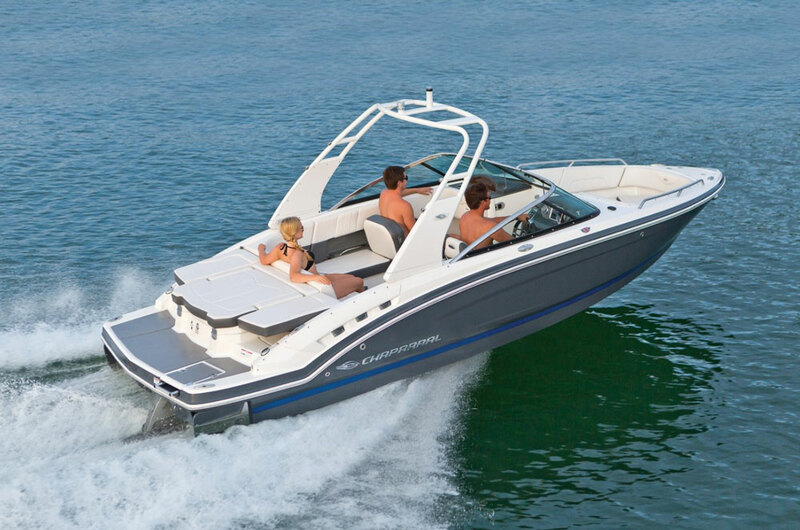 Chaparral’s 287 SSX occupies the middle ground of the company’s SSX runabout lineup, which begins with the 227 SSX and ranges up to the 337 SSX. It’s the shortest SSX available with a nine-foot beam and it’s only 1.5 feet shorter than its larger sibling, the 307 SSX, which measures 9 feet 6 inches abeam. That puts the 287 SSX in a pretty unique niche in the model line. 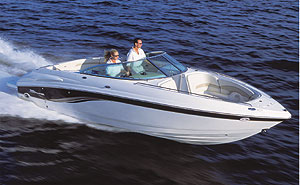 Even experienced boaters moving up from smaller models could buy the 287 SSX in stock form and still want for nothing. This is the kind of boat that you could buy without ticking any of the options boxes, and be content with for years to come. 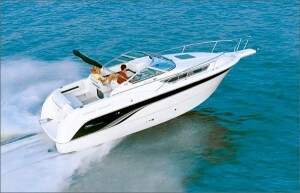 For example, the boat’s interior is well-equipped and versatile. Up front, the bow comes with twin forward-facing lounges with folding armrests and comfy backrests. High freeboard continues from the cockpit to the bow, so you sit deeply in the lounges. Forward and side cushions lift to reveal ample stowage compartments. There’s an anchor locker up front, with the option to order a power windlass. The pull-up cleats and bow light are standard, which doesn’t sound like a big deal, but if you’ve ever stubbed your toe on a regular cleat you can appreciate that ostensibly small detail. Chaparral also paid attention to detail in the cockpit, which is laid out smartly. Just look at the power-sliding rear lounge. In its upright position, it’s a rear bench and a rear-facing lounge on the swim platform. Folded flat, it forms a traditional sun pad. It overachieves in that the cushions also angle up at the front to create a rear-facing chaise or at the rear to face forward when underway. As they say in the infomercials, but wait—there’s more. The more notable standard cockpit items include a carry-on 36-quart cooler, cockpit and bow LED lighting, and a double-wide helm seat that slides fore and aft and also rotates. 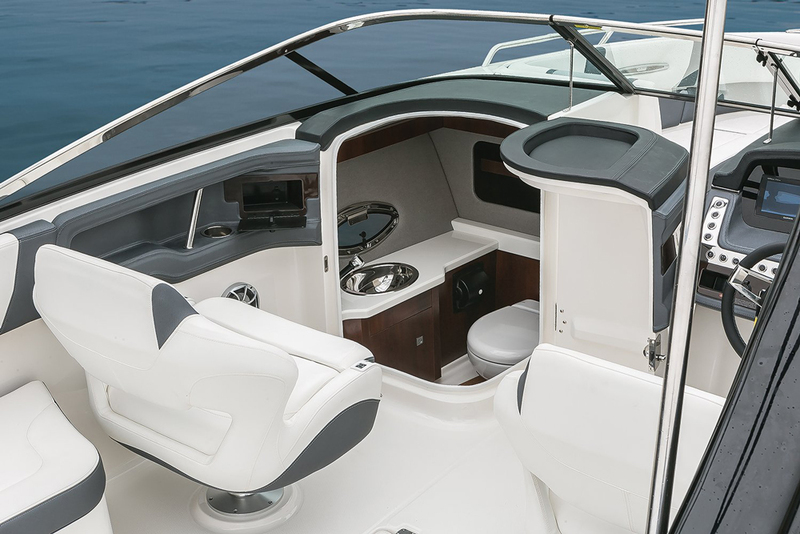 The 287 SSX comes with a removable dinette table, too, which snaps into place in the bow or cockpit. There’s also a foldable wind dam in the walk-through to the bow, stowage drawers above it, and a recessed transom door. If you have little kids, you can essentially lock them in the cockpit where you can keep an eye on them. Lastly, a Bimini top is standard, as it should be. Even in standard trim the head compartment is well-appointed, and comes with a standard portable MSD. The only options here are for better commodes. For the driver, the helm is the place to be and it’s 21st century stuff, again all standard. Dual touch-screens offer a full-on “glass helm” with controls for navigation and engine management, all of which can be customized to your preferences. The switchgear is really trick, too, set in chrome panels and backlighted to show each button’s function. Drive-by-wire throttle control comes standard whether you choose Mercury or Volvo power. If you’re moving up from cable controls, the drive-by-wire stuff is amazing. 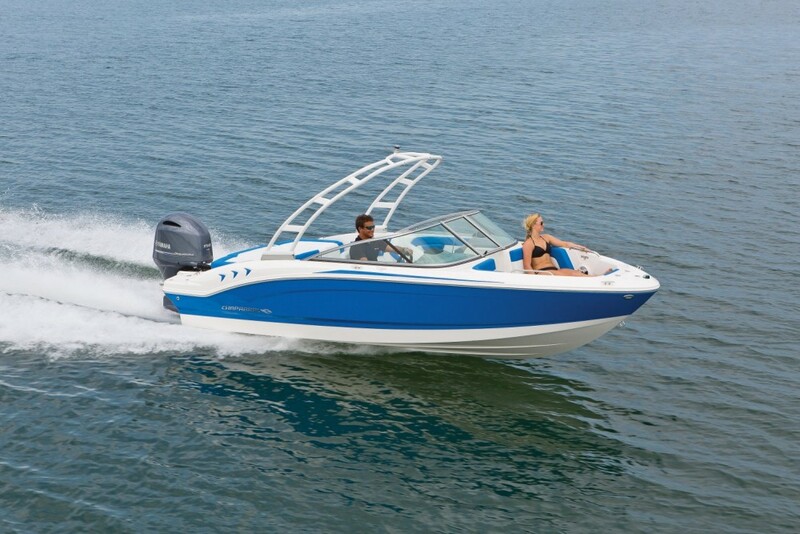 If you like options, the power folding arch is nice and trim tabs are always good to have. You can get a bow filler cushion and cockpit carpeting, too. But if you look at the options list, there just isn’t much there—which is a good indicator of how much comes standard on the 287 SSX. Occupying a unique place in the SSX lineup, the 287 does things its smaller siblings cannot and it goes where its larger siblings will not. It’s something of an overachiever, which psychologists will tell you happens often with a middle child. 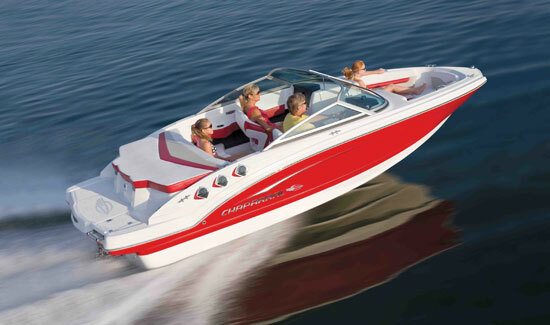 Other Choices: Interested shoppers may also want to check out the Cruisers Sport Series 278. 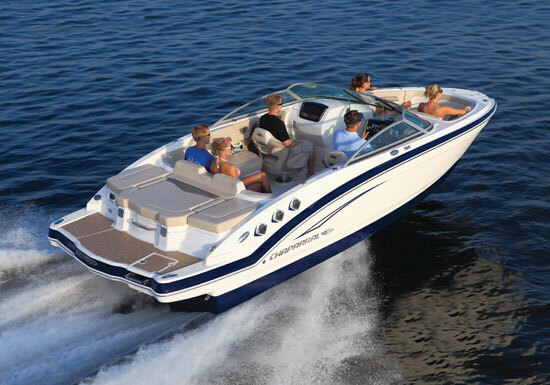 The Cobalt 26 SD and the Crownline 270 SS will be of interest, too. 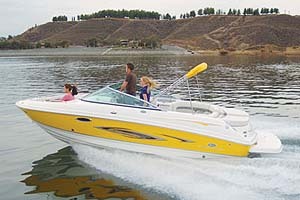 See Chaparral 287 SSX listings.